Apple using 769 patent of Huawei and Huawei using only 98 patent from Apple, so Apple has to pays Huawei hundreds of millions dollars. Once you buy iPhone, you buy Huawei technology too. Apple using 769 patent of Huawei and Huawei using only 98 patent from Apple, so Apple has to pays Huawei hundreds of millions dollars. Once you buy iPhone, you buy Huawei technology. Even more , Huawei develops half of 5G standards and patents , US counld build 5G network without Huawei devices, but couldn't avoid Huawei technologies, once you pay for 5G service, you pay to Huawei too. Wow! The Huawei apologists are so blatant that it's pathetic. I've got avon on my block list, but on reading his crap quoted in other posts - wow! And they call us sheep! Oh I got it! 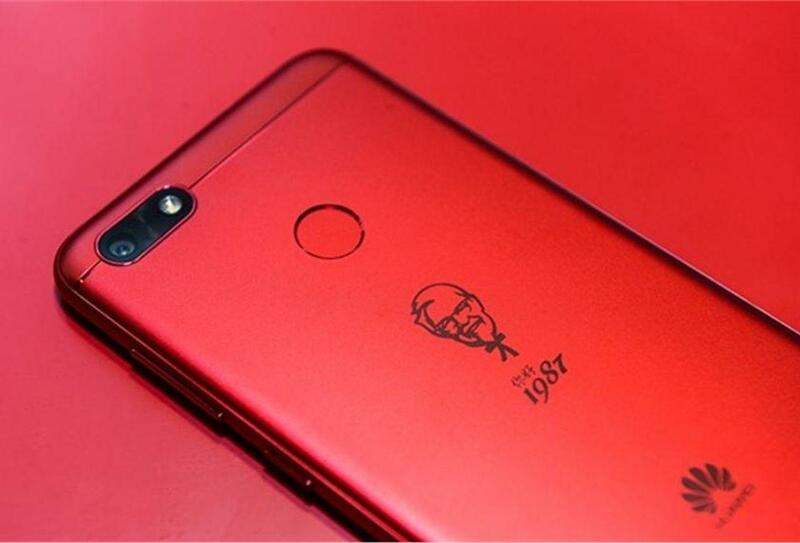 The KFC iPhone Knockoff! 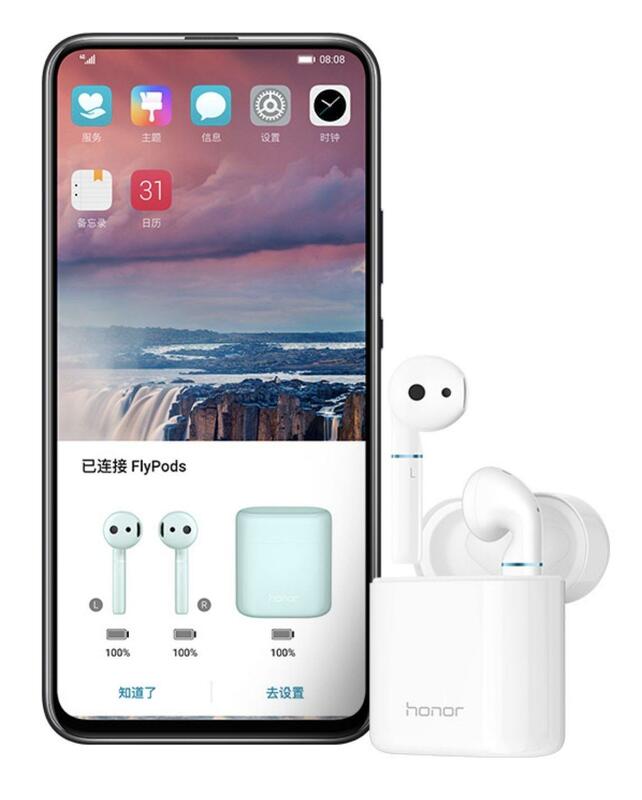 It is outright laughable that some of our dear astroturfers are trying to pretend the company that brought us these AirPod ripoffs (ironically branded under the “Honor” line), aren’t complete rip-off artists. Don't be fooled, none of charges on Huawei has been proved. What we know is Apple using 769 patent of Huawei and Huawei using only 98 patent from Apple, so Apple has to pays Huawei hundreds of millions dollars to produce iPhone with Huawei technologies. Even more , Huawei develops half of 5G standards and patents , US counld build 5G network without Huawei devices, but couldn't avoid Huawei 5g technologies, once you pay for 5G service, you pay to Huawei too. Ignoring the fact that you’re throwing out now numbers without a single link, it’s hardly surprising that Huawei only pays for 98 patents if they’re stealing everything else. Be smart, if Huawei stealing those technologies why Apple pays to Huawei instead of the origin? You got a lot to learn. BEIJING (Reuters) - Chinese telecom giant Huawei Technologies Co Ltd [HWT.UL] became the world's No. 1 applicant for international patents in 2014, a United Nations agency said Thursday, underscoring the innovative strides made by Chinese technology companies. Huawei was followed by San Diego-based chipmaker Qualcomm Inc while Huawei's crosstown rival ZTE Corp, which was the world's leading applicant in 2012, took third place in its number of filings, according to the World Intellectual Property Organization (WIPO). WIPO's report, which is sometimes viewed as a rough barometer of a country's technological progress, noted that China was the only country to see double-digit growth in its filings, although U.S. companies led by far. High-tech and automotive powerhouse Japan, home to last year's leading applicant Panasonic Corp, saw its total filings slide. Huawei has touted its yearly research and development budget - equal to 10 percent of its revenue - as proportionally higher than many of its peers in industry. Chief Executive Ken Hu told reporters in Barcelona this month Huawei will spend $600 million on 5G wireless research and development from 2013 to 2018. 1. Why does it matter? All the great civilisations gave us good and bad. We are supposed to learn from those aspects and improve on them. Many Apple patents actually name people of Chinese descendency. One of the major differences between the progress of Russian and Chinese communist systems over the last decades has been emmigration of Chinese nationals. Now there are many Chinese companies outside China contributing to the patent pool. You deliberately limited your question to a timeframe which included a period when China was going through reform. In spite of that I dug out a document that showed the huge progress made in technology stakes during the period. The document's conclusions are somewhat open ended as no one knows what the future may hold. Nevertheless it details wholesale advances in its technological patent output (a recognised metric) which shows no signs of slowing down. In the case if Huawei it is said that Apple licences close to 800 patents from the company. 2. Facial recognition is a delicate subject for obvious reasons. Many governments favour implementation of systems but are wary of a public backlash and try to keep plans under wraps. That doesn't change the fact that the Chinese (again for obvious reasons) are widely accepted as currently leading the race here. 3. 5G. Huawei has been a major player in the development of 5G. 'Possible developments' refers to where things will go after deployment. One of the major US fears is seeing Chinese companies deploy systems and actually start developing solutions for them well in advance of US efforts. The connected world is simply a slogan at this point but there are big plans. The problem - today - is that there is very little deployment. That is quickly being resolved as we speak and the US is not really in the race at this point, hence these actions by Pompeo and company who fear the US losing strategic importance across the board (military, economic, scientific, consumer, industry etc). The theoretical implications are vast and 5G may provide the threads that tie it all together. People are talking about 5G as a new revolution. It is early days but I can see why the US is more than worried. Let's imagine for a moment that IP was actually stolen. Of all the MASSIVE R&D outlay and technology advances by Huawei to date, and in all fields, how much do you think was stolen? 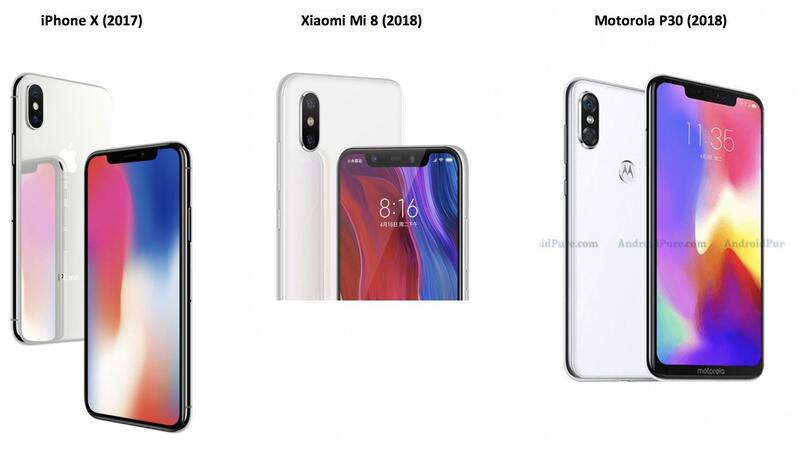 Try to put some perspective into things because I'm seeing lots of patents coming out of Huawei (for which Apple reportedly pays hundreds of millions of dollars) and smartphone advances that are a long way off appearing on iPhones. Now re-read the piece and confirm to me that all there is at this point are allegations. Nothing more. I mention this because I get the impression that your mind is already made up. I will repeat. Truth in any of these allegations apart, we are in the middle of a slur campaign by the US government that has so far not offered any evidence of what it is claiming. In fact, and as of today, Huawei phones are still on sale in the US and worldwide, and are smashing sales records. What better reason could there be to try and tarnish the name of the company in an attempt slow its progress down? However, speculation apart, I prefer the facts, of which none have yet been presented. Do you agree? A heads up for you. MWC is next week. Huawei has spent over 18 million euros on its stand at the show and wants its voice to be heard. The word bullying is now being heard with regards to US attempts to impact Huawei's progress on foreign soil. There is a growing feeling of 'we don't want you meddling in our internal affairs to suit your [US] interests'. When Pompeo began threatening nations, it really looks to have irritated some governments. I will remind you of leaked comments by high ranking EU officials after Donald Trump was elected that made it clear that the US should be considered less of an ally given his stance on certain topics. That is truer today than it ever was not so long ago. I really have to laugh at all these "China / Huawei can't innovate -- all they do is steal and copy" comments because they are so very remiscent of our comments about Japanese steel and Japanese cars 40 years ago -- right before they crushed both of our most important and powerful industries. Since then we have learned to emulate them in both industries: The tiny bit of U.S. steel production running today is using the same techniques we copies from the Japanese. And GM, Ford and Chrysler still trying to match Toyota and Honda in quality -- actually, Ford pretty much gave up and stopped manufacturing cars. What America has done best over these past 40 years is delusion and denial. Our claims against Huawei sound like the exact same kind of denial and delusion. They beat us at 5G and we can't deal with it. I suspect the same thing will play out here: The slur campaign will continue until we manage to copy their technology. canadien's only arrested her at the request of the U.S. -- not because there was any evidence of her or Huawei's wrong doing. Essentialy, the U.S. wants to hold her as a hostage in their trade war. Meanwhile, as I pointed out, European countries are saying the U.S. is out of line on the whole affair and setting up their own financial systems to bypass the U.S. and its Alternative Facts based facts.